Lil Kesh, is a Nigerian singer, rapper and songwriter. He rose to fame after his chart-topping song titled “Shoki“. 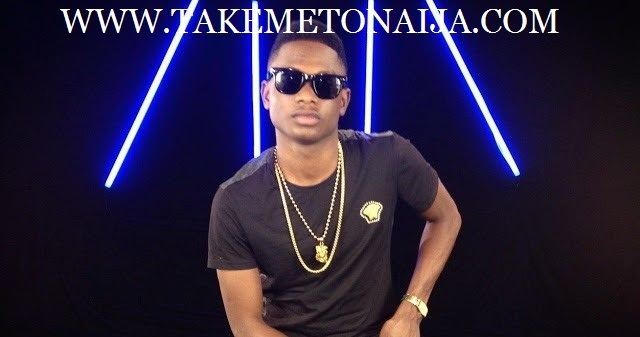 Lil Kesh was born and raised in Bariga, a suburb of Lagos State. His music career started in 2012 while rapping among his peers in Bariga until he released “Lyrically”, a single that quickly became popular in Nigerian Universities. In 2015, he was nominated in the Best New Act to Watch category at the 2015 Nigeria Entertainment Awards. Lil kesh is a young rapper from Lagos state. He is presently a student of UNILAG and in 100Level as 2014 studies Linguistics. Lil kesh revealed he officially started doing music in 2012. He recorded a song titled LYRICALLY in 2014 a song which somehow gaining grounds withing the school campus. And later on a friend of his Viktoh had to share the song with Ace rapper OLAMIDE, and when Olamide listened the song he said “I MUST DEFINITELY SIGN THIS KID” in which was what got him signed to the popular record label YBNL in April 2014. With a remix featuring man of the year, Davido, and label head, Olamide, ‎the song became a nationwide anthem, thus, the youngster performing at major shows across Africa. 2015 GBESE which topped a lot of charts for a long time. Lil Kesh released another banging hit song mid 2015 EFEJOKU featuring label mate Victoh, this actually boosted his fan base all the more showing what a real talent he is. Many people would agree Lil Kesh kills any song he gets on for collaborations, he featured in a lot of hit songs of 2015 and his rap lines are always loved by fans as they are categorized as funny and interesting. Kesh was invited to perform at the MAMA Awards 2015 in South Africa which was another major progress in his music career. As of 2015, T.I.N Magazine confirmed Lil Kesh charges at least 1million naira for shows across Nigeria. We could probably say the rap act has a real chance of winning the Headies Next Rated Award Of 2015. Lil kesh has gone to U.K for shows and tours since he’s hit the limelight. 2015 became much of a successful year for him. His invented dance SHOKI is one of the most popular dance styles in Nigeria ever. Signed an endorsement deal worth 11million naira with SURE Bet in 2015. Starting off as a musician, were your parent in support of that? My case is different because my Father is a Christian and I grew up in a very gospel family as my father has his own church and there I had music to enjoy from my parents; because music was all around me and that also informed the creative side of me. Despite the fact that my parents are good Christians, they are always in support of what their children are willing to do and more importantly they preach the gospel of education too. My parents will give their blessings as long as you are on the right course; they are my number one fans and have always supported my music from the onset. Nigerian rapper, Lil Kesh born Keshinro Ololade has acquired a new ride for his mother. The YAGI boss took to his social media page to show off the new acquisition. Lil Kesh gifted his mother with the car when she came visiting him.